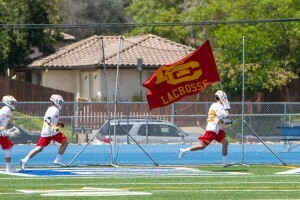 After winning the Division II CIF title last season, the boys lacrosse team has plenty to look forward to this season. So far the 2016 season has been a success as the boys are off to a scorching 7-1 start, and are currently ranked 16th in California by Maxpreps. The Sundevils have been outmatching their opponents so far this season, outscoring them 95 to 42 over the course of 8 games. 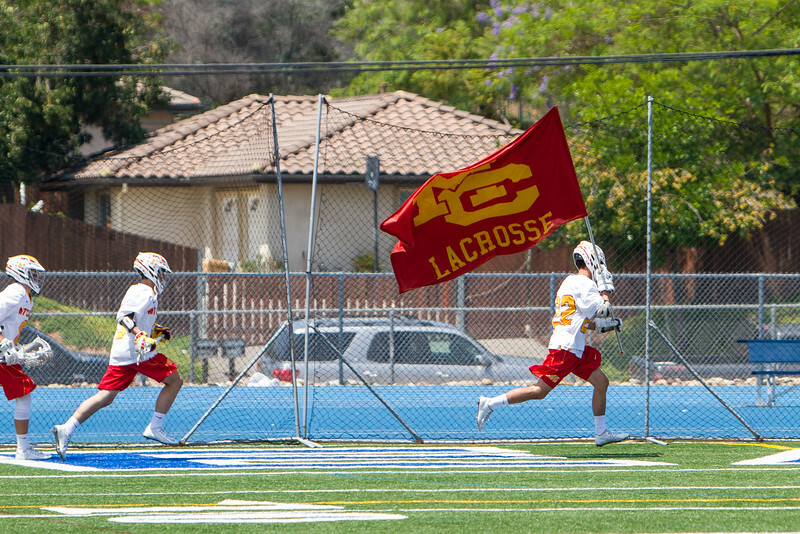 On Monday, March 28th, the boys lacrosse team traveled to Carlsbad High School to take on the Lancers to try to improve their record to 8-1. After the first quarter, the Sundevils trailed 3-2 but never looked back. The MC defense proved tough, allowing only two goals for the rest of the contest. MC ended up victorious, beating the Lancers 6-5. Senior captain Alex Zamarripa found himself in the middle of every defensive stop. “Our defense was solid and we only let 5 goals in,” Zamarripa said. Although the defense stood out, the offense was still firing. Senior Joe Siagatonu was proud of how the offense moved the ball. “Offensively, we played great and we have stood out on the offensive side of the ball this year,” Siagatonu said. The end goal for the sundevils is to repeat as Division I champs and the team has what it takes to make it happen. . Although they are off to a hot start, the Sundevils definitely see room for improvement. “Overall, our game was great but we can still improve,” Zamarripa said. Because of their hot start, the Sundevils should be a strong force during league play in the upcoming weeks. Jared is a staff writer and Wings n Things addict who enjoys playing baseball for the MC Sundevils.